This tablet broken by New England Patriots head coach Bill Belichick symbolized the frustration of the fans during their home game against the Buffalo Bills. Whether it was two poor kickoff decisions by Cyrus Jones or the penalties incurred, 9 for 74 yards, the Pats were very much lucky to only be down 13-0 going into the 3rd quarter. The conservative start to the offensive play-call, not helped by poor field position early, didn’t help rookie quarterback Jacoby Brissett get into any sort of rhythm. While Tyrod Taylor carved the Patriots defense totalling 274 yards of offense (248 passing/28 rushing) including the only touchdown of the game, a 7-yard pass to LeSean McCoy in the 1st quarter. Stark contrast to the Patriots total offense of just 277 yards. In easily his best game of the young season, Martellus Bennett made a tremendous 58-yard catch to bring the Patriots into the red-zone for the first time of the game in the 2nd quarter. 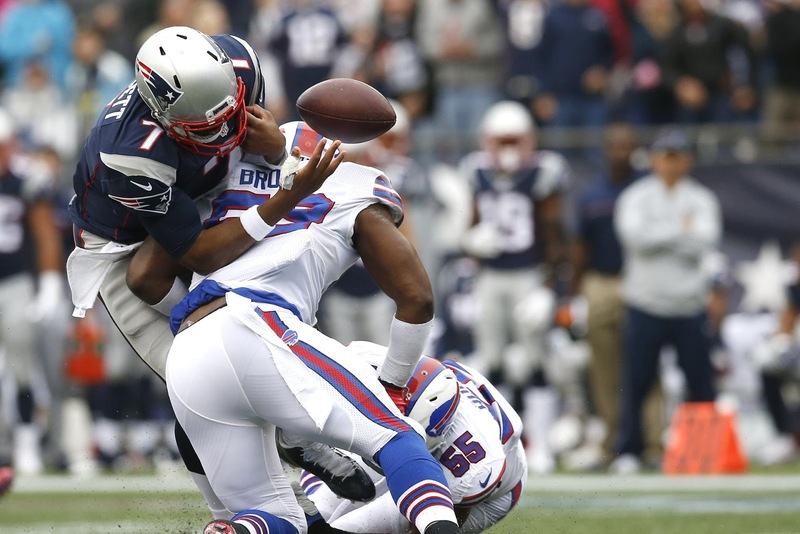 Unfortunately the frustration would continue with a Brissett fumble at the Bills 18-yard line. This negated the Pats best chance at points in the game. Out of the half it appeared the Patriots defense had turned the momentum. Forcing a quick three-and-out by the Bills and a more open Patriots offense led to a promising drive into Bills territory. To not end up with points after a Stephen Gostkowski 48-yard missed field goal though epitomized the overall effort of the team this game. The lack of pass rush was evident in what was the Patriots best chance at a 2nd half stop. In the 4th quarter the defense had two clean shots at Taylor and both times he managed to slip away to keep the play alive and eventually kill more time. The loss though unexpected still doesn’t take away from a tremendous 3-1 start to the season. Next week brings a return to normalcy, and hopefully the win column, with the return of Tom Brady.